Greek burger, from Rave Burger, originally uploaded by schahn. A colleague and I are working through the better burger places on the Peninsula. 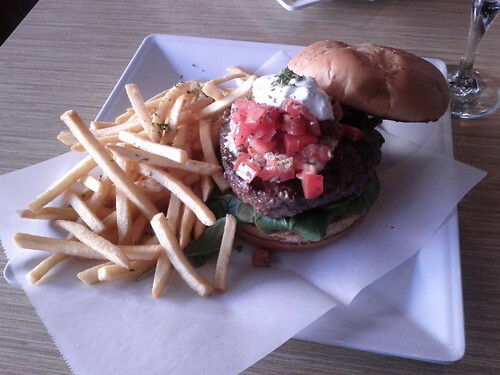 We’ve been juicily making our way north; Tuesday we hit Rave Burger [Yelp], where I enjoyed the tasty Greek burger shown.